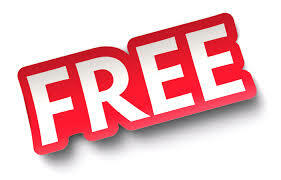 This is your page for free fun links. Check back to see new additions in the future. > Read this fascinating true story of a World War II bomber that returned to England and landed–with no crew aboard! Click the pic for the story in a new window. > Ready to hear something beautiful? Relax to the Irish hymn “Be Thou My Vision,” followed by other songs, as performed by Keith and Kristyn Getty. > In The Methuselah Project, Glenn Miller and his orchestra are Roger Greene’s favorite musicians. Click Glenn’s pic for a free concert from the 1940s. > Love relaxing to the sound of rain? Click on the raindrops for 10 hours of rain storms. > Forget Photoshop. Now you can quickly upload YOUR personal photographs into all kinds of fun templates. Click my fake magazine to try it. > Climb Mt. Everest from your armchair! Scaling the heights of Mount Everest is a dangerous undertaking. Now you can do a virtual 3D climb to the peak. Once on the summit, adjust your view 360 degrees to see all the scenery below and around you. Come back soon. I’ll be adding more fun links for you to explore!